I noticed it last week! 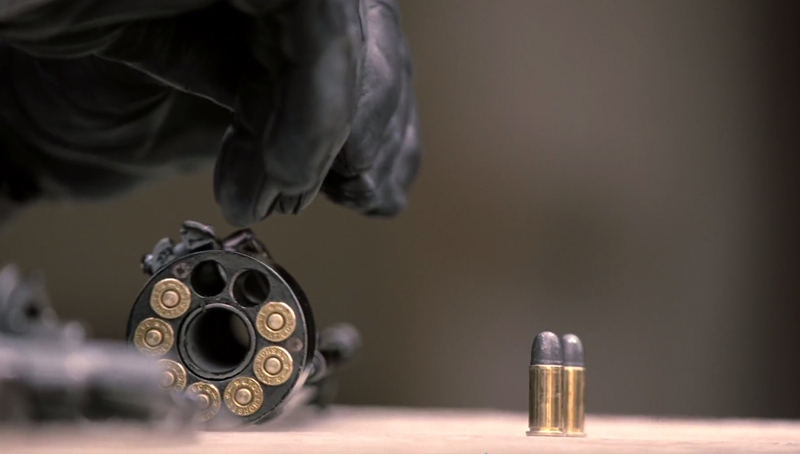 Is it an actual gun or was it created for the show? This may be the same actual gun that was used by Jayne in 'Firefly'. It had some sci-fi machined add-ons on that show, but was a Pietta repro of the black powder LeMat Cavalry, cartridge converted. The cylinder holds 9 rounds and it also carried a single shotgun round in the centre, fired through the short barrel. Also used by the huge Swedish farmer character in am Raimi's 'The Quick and the Dead'. The Sharon Stone movie, The Quick and the Dead, has some amazing revolvers in it. 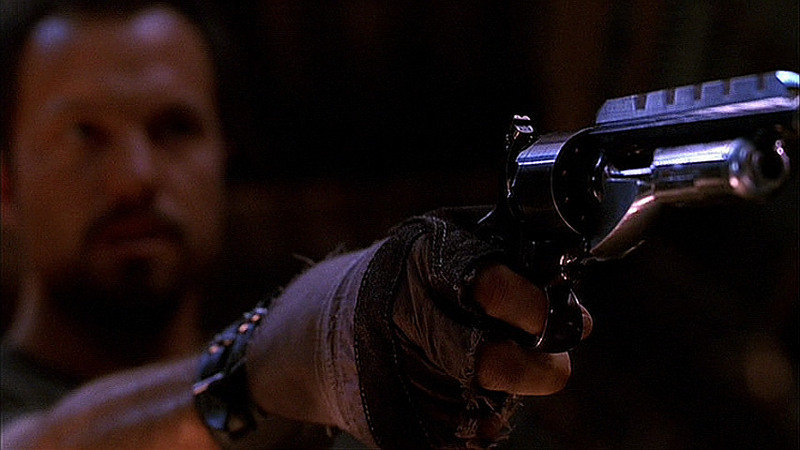 Whoever was in charge of the prop guns, maybe Raimi himself, loved guns. Anyway some really cool pieces that I always thought could be the basis for a new BR Blaster. Looks like the inspiration for the Samaritan - the prop weapon du jour of Hellboy..
$1050 retail for a black powder repro. I might drop that coin for a cartridge conversion, like in the show. But too bad cartridge conversions don't exist for this bad boy. Fascinating! Thanks for sharing that! Had no idea about the shogun element. Actually the LeMat is more accurately the grandfather of Jayne Cobb's blaster, Boo, in Firefly. The cartridge conversion is a custom setup done by a prop house, I just don't know which one. There is no commercially available "drop in" conversion kit for the Lemat, because the shotgun barrel configuration has to be cut off, basically, to get one to function as a conversion. If the same prop house that did Firefly is doing Westworld, then we might be looking at the same conversion. The shotgun conversion is obviously not the same as the barrel was entirely removed/not used for Firefly, so that was done just for Westworld. I'd pay real money to sit down and chat with whatever gunsmith did this work! 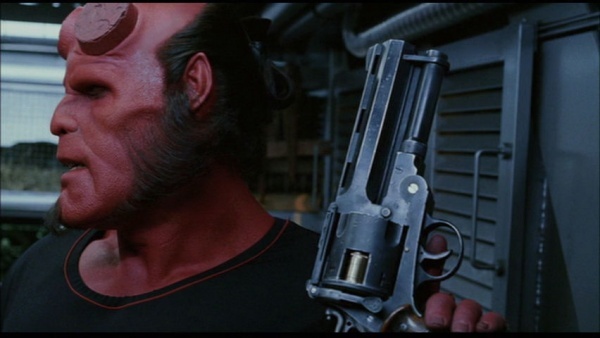 Also, Ed Harris' character carries a second barrel assembly in the small of his back. We have not seen that yet, but if he ever uses it, and it look anything at all like Jayne's gun, we have our answer. 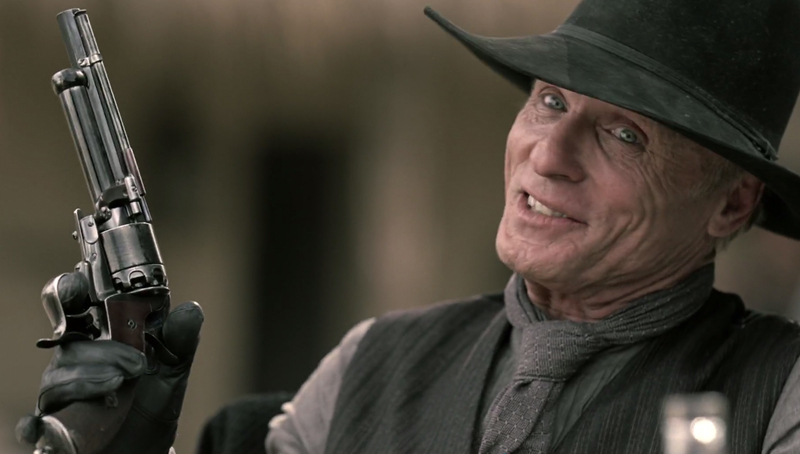 It was interesting that they were showing the whole process of Ed Harris with the gun, to the point that it made me wonder if it was a plot point that would come back later, with regard to whether he was human or not. Not to dredge up an old thread, but I felt I had some info that might help. The prop house that built the LeMat was ISS out in LA. I had the great opportunity to work with the armorer on Westworld, on a separate project here in Atlanta. Did you work with Larry Zanoff? The Cartridge conversion for the Jayne Firefly piece was done on a Pietta repro by a gunsmith called John Gren from Spokane, Washington, for the Gibbons Armoury. Gren has passed since he did the work on the show.